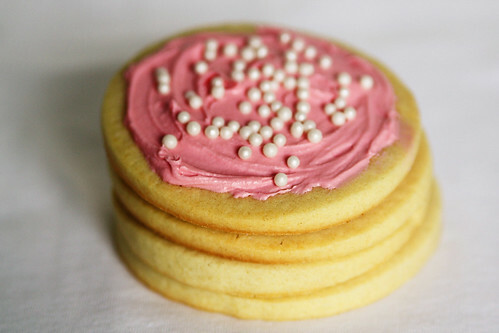 I *love* sugar cookies. I love eating them. I love decorating them. I love sharing them with others. 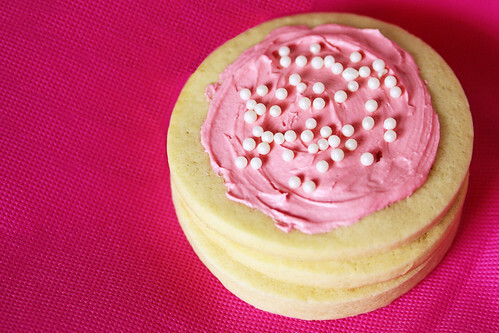 This is my favorite sugar cookie recipe. A while back, I posted a tutorial for sugar cookie pops that uses this recipe. But I thought it deserved its own post, so here we are. Cream the butter and sugar until light and fluffy. Whisk the flour, baking powder and salt together in a separate bowl. Add in the egg and extract and mix to combine. Slowly add in half of the flour mixture and mix to combine. Add in the rest of the flour and mix to create the dough. Roll out the dough between two sheets of wax paper and chill for at least an hour in the refrigerator. When it’s nice and chilly, cut out shapes with cookie cutters. Place the dough on a baking sheet lined with parchment paper or a silicone mat and bake at 350 degrees F for 8 to 10 minutes, until the bottom of the cookies are just starting to turn golden brown. Cool for a bit on top of the stove and then transfer to to wire racks to cool. 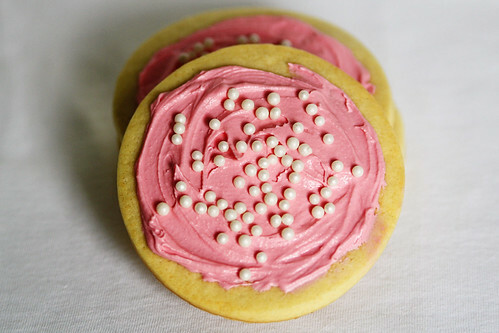 When completely cooled, frost as desired, using royal icing or glacé icing.